Jesus also demonstrated this principle when he cursed the fig tree during His passion week, even though He knew that it was not the season for figs (Mark 11:12–14; 20–22). This happened in the spring—which would have been late March or early April—even though the “bearing fruit time” (or harvest time) for the fig tree was only in September during the autumn months. So, why did He curse the fig tree when he found no figs on it? Because this type of fig tree bore a few “first fruit” figs in April, and if none were found on the tree, it meant that the tree was diseased and dying. Jesus only hastened the process! The lesson is clear: The manifestation of first fruit guarantees a coming harvest! The day of a great Aliyah harvest is coming shortly. Your donations make it become a reality! Today, one of the most remarkable undertakings of the God of the Bible has been the return of the Jews to their ancient homeland and to Jerusalem itself. Jesus spoke of this in Luke 21:24. 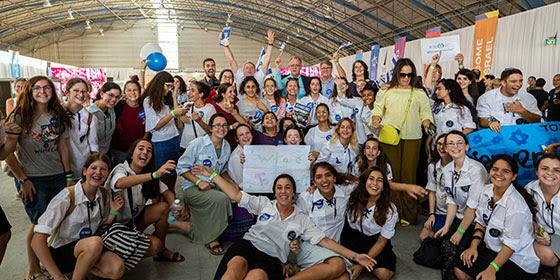 This returning process is called “Aliyah,” meaning, “the going up to Zion.” Jews from more than eighty-four nations of the world have returned to their ancient homeland thus far. Some have arrived in great waves of Aliyah, like the millions of Jews who have, over the last three decades, returned from the north country: Russia (Jeremiah 16:14–15, Jeremiah 23:7–8). 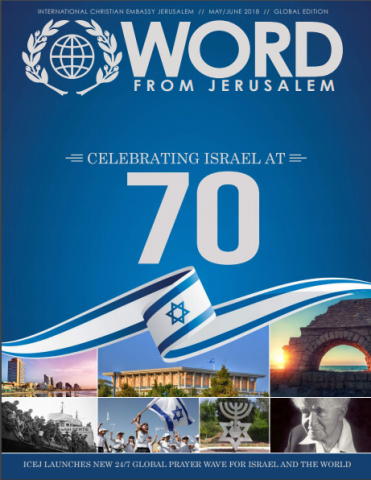 Christians from all over the world have been involved in this endeavor, and organizations like the International Christian Embassy Jerusalem have assisted more than 140,000 Jews in this regard. The miracles surrounding this phenomenon are well documented, especially the prophetic announcements made years before by people like Steve Lightle and Jay and Meridel Rawlings that called for the Finnish people to prepare their homes for a great influx of Jews that would come out of Russia and pass through Finland. The Finns obeyed this prophetic call and were ready when it came to pass. Ulla Jarvelehto, a medical doctor and politician of great repute and standing in Finland, was at the forefront of this adventure. Her remarkable story is a part of the history of the ICEJ as she also served as our Finnish Branch Director. This modern-day Aliyah from many nations of the world is only the first fruits! This means that a great harvest in terms of Aliyah is on the way in the season of redemption. This “season of redemption” is the day when Israel’s great Messiah returns Himself to Zion and thus makes His own Aliyah. He will vindicate Israel in the sight of the nations; they will consequently be humbled and will seek to make restitution for all that they have done to the Jews by bringing the remaining Jews in the nations home to Zion. This will be a huge manifestation of Aliyah, the likes of which we have never seen before. Those who have labored so faithfully in this present Aliyah have paved the way, by the grace of God, for this to happen. They have plucked the first fruit even though they have sometimes been verbally attacked, misunderstood, and smeared for doing so—but indeed they have done and are doing the will of God. The day of a great Aliyah harvest and of their vindication is coming shortly. It is important to note that according to Isaiah’s prophecy all the Jews will one day return to Zion. Not one will be left in the nations—and this means that even the six million Jews now living in the United States are destined to go home to Zion, and God will be glorified.